Those are the wooden color block. It identically with kids toys. 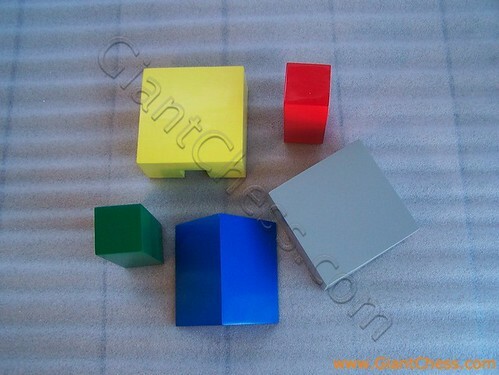 Those block have various light colors and shapes, so you can introduce kind of colors and shapes to your children. Kids like to play something colorful. They like to play something interesting and has fun color. Light color is favorite one. They can learn about various color and its easy to remember. Wooden colorful block may become your choice to introduce various kind of colors and shapes. Sure your children like to play this kind of toys. Attractive but also educative. Save and interesting, because those made from Teak wood and polished well in attractive color. Beside as kids toys, you may also use this wooden colorful block as your house decoration. You may put it on your living room table or library.